Bridges provides mental health support and information on a drop-in basis and also group outings and activities. The service is accessed by GP referral only and is for people living with mental illness in the community. The aim is to help people manage their enduring mental illness, gain more social confidence and also help them to resolve any housing or financial problems. It is a safe space to meet others who experience similar issues and difficulties. The service helps people regain the ability to engage in everyday social activities. Numbers at each session vary – usually there are around 25 people. There are always regular activities to join in, such as board games, card games, art and craft. Additional activities include pool, films, cooking, current affairs, photography, quizzes and bingo. Trips are also organised, which include visits to the beach, bike rides, coach trips and ten pin bowling. Bridges is a peer-led group so there is an opportunity to choose the activities that interest you. St Martins staff facilitates the sessions. There are also opportunities for volunteers to assist. 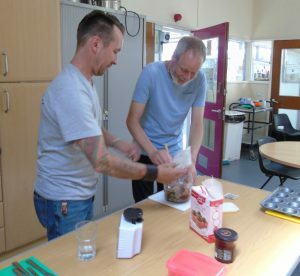 The same members of staff run the sessions each week, which means the service is consistent and people can build up a rapport. Bridges is funded by NHS Norwich Clinical Commissioning Group (CCG) and is free to those attending. Bridges started over 24 years ago and is a well-established group. Some people have attended for many years and some are new to the service. St Martins took over the running of the service in 2018.